Wax Jack the Ripper and Ray Milland. Ray Milland, Elsa Lanchester, Louis Hayward, Broderick Crawford, John Carradine, Maurice Evans, and Patric Knowles...that would have been an impressive cast for a film made in the 1940s or 1950s. Alas, by the 1970s, these classic-era actors were at the twilight of their careers and found themselves appearing together in the low-budget horror picture Terror in the Wax Museum (1973). Set in turn-of-the-century London, it stars Carradine as Claude Dupree, the co-owner and lead sculptor of a wax museum that specializes in horrific subjects such as Lizzy Borden and Jack the Ripper. Dupree is contemplating closing the museum and selling the wax figures to a brash American businessman (Crawford). It's a tough decision, especially since Dupree thinks of his wax figures as family and doesn't want his hunch-backed assistant Karkov to lose his job. Of course, it becomes a moot point when Dupree is murdered by someone dressed as the wax Jack the Ripper. There are plenty of suspects, to include Dupree's business partner (Milland), his niece (Nicole Shelby) and her guardian (Lanchester), a nearby pub owner (Hayward), the American businessman, and, of course, the sensitive Karkov (Steven Marlo). Alas, Terror in the Wax Museum is not much of a mystery, relying on cliché plot points such as a missing will and hidden treasure. It was also an oddity when I first saw it during its theatrical run. At a time when horror films were becoming more bloody--even Hammer's period-set pictures--Terror in the Wax Museum was extremely mild. It's not even as intense as the 1966 wax museum movie Chamber of Horrors, which was originally made for television. 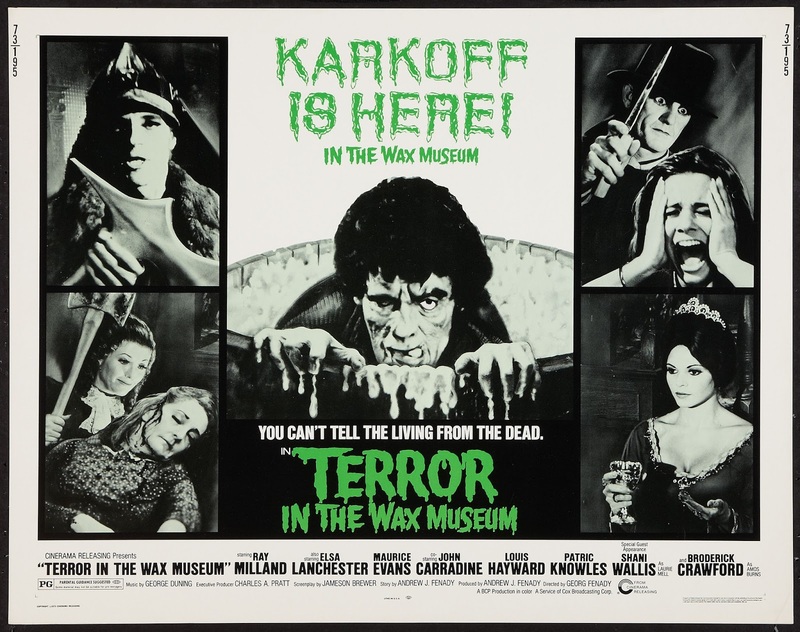 Still, the cast alone makes Terror in the Wax Museum worth a one-time viewing. In addition to the aforementioned stars, there's also Shani Wallis (who played Nancy in Oliver!) and Lisa Lu (The Joy Luck Club). 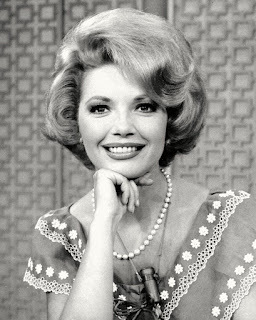 According to the AFI Catalog, the wax figures were played by "twelve members of the Laguna Beach Festival of Arts Pageant of the Masters, a popular southern California 'Living Picture' troupe." The film's publicity materials are a lot of fun, too. First, the character Karkov was sometimes listed as Karkoff (perhaps to make viewers think Boris Karloff was in the cast). A lobby card misidentified Lizzie Borden as Lucrezia Borgia and vice versa. I have also seen a poster showing Terror on a double-feature with Ted V. Mikels' The Doll Squad. Now, there's a twin bill! Finally, producer Andrew J. Fenady and his brother, director Georg Fenady, shot Terror in the Wax Museum back-to-back with the oddball comedy Arnold (1973). That film starred Stella Stevens and Roddy McDowall, but also featured Terror troupers Elsa Lanchester, Patric Knowles, and Steven Marlo. I saw this in its initial release in '73, at the State-Lake Theatre in downtown Chicago. Terror … was playing a double bill with Doctor Death - Seeker Of Souls, another product from Cinerama Releasing, which is what ABC's moviemaking branch was calling itself back then. I recognized most of the names in the credits, on both sides of the camera, from TV: the Fenady brothers were long-established in that medium for years (as was the screenwriter, Jameson Brewer), and the nostalgia-laden cast was mainly working the tube at this point. The feeling I got while watching this was that I was looking at a made-for-TV movie; I amused myself by spotting out the commercial breaks. On this basis, I found it very entertaining indeed (but I have a low bar, so there too). There was also the second feature, Doctor Death, which was somewhat nearer the knuckle than Terror …; the director was Eddie Saeta, who'd been an AD at Columbia for years. Doctor Death got some notice at the time for the far-too-brief appearance of Moe Howard (in what proved to be his final film role). I actually paid to see this twofer - twice! My defense is that home video hadn't been invented yet, so I thought this was my only chance (at least until they got sold to TV syndication). Today, I've got both of these on DVD (and what does that tell you about me?). Hey, I saw this movie theatrically, too, at the Carolina Theatre in Winston-Salem, NC. It was once the city's premiere movie palace--but it had fallen on hard times by the 1970s. Sadly, I didn't get to see DOCTOR DEATH on a double-feature! I can imagine watching this after taking too many cold pills and wondering if I had dreamed the whole thing. This does sound worth a one-time viewing, and the whole time I'll be wondering what the movie would have been like if it had been made in the 30s or 40s. Hey, I just learned about the Laguna Beach festival you mentioned, and I didn't realize they had been around that long, nor did I realize they had film appearances. Impressive! Seeing the title and the photos I had assumed that Ray Milland was starring in a low-budget remake of House of Wax, but now I see that Carradine is the star. Hmm...can't quite picture that one. It sounds like a 70s sleeper but with such a cast - Shani Wallis included - I'm game to try it. John Carradine was hardly the star of this epic. He's the first to get killed here, so his part is more of a feature cameo. The other names in the cast fill the function of TV guest stars; the two "juve leads" are more the central characters here, reacting to all the scenery-chewing. 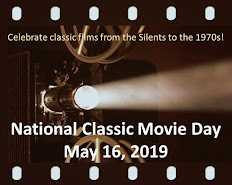 For the rest, I'll just refer you to my comment above: I just looked at it again, and I'm more convinced than ever that it was an ABC Movie Of The Week that escaped the box and wangled theatrical release.